Search engine optimization (SEO) is more important than ever when it comes to mobile sites. This year, mobile devices have overtaken desktops as the primary method for accessing the Internet. Google has adjusted their search engine rankings accordingly, prioritizing sites that are mobile-friendly. Sites that aren’t mobile-friendly have fallen precipitously in Google’s rankings under these new changes. There are certain aspects of mobile sites that will increase your search engine ranking. Here are some important ranking tips for your mobile site to ensure it stays at the top of search engines. Ensuring good user experience with your mobile site is the most important factor. Google has placed focus on prioritizing sites which adhere to best practices and provide a good user experience. Mobile sites should be designed for smaller screens. Having less images, links, and ads reduces visual clutter on your site and increases your chances of being ranked higher. Top sites also often use larger fonts with plenty of white space surrounding them. Interactive features, such as buttons or menus, should be kept to a minimum. Mobile devices often use spotty Internet connections, so search engines take into account how quickly your site loads when determining rankings. Mobile sites should have smaller file sizes and should avoid things like videos, animated ads, or flash design, which all lag down your site and allow for a clunky user experience. Keep things short and simple, and you will have a much better chance of higher search engine rankings. When it comes to search engine optimization, Google now prioritizes meaningful content over clickbait loaded with keywords. Ensuring your content is relevant and useful is an easy way to boost your site. This is true for both mobile and desktop devices. However, content on high-ranking mobile sites is often more succinct and shorter than its desktop counterpart. People use mobile differently than they do desktops. Often, mobile users are looking for directions, checking out restaurants, and performing searches for local businesses. Including content with a local focus will keep you higher in rankings. Keep content focused on your location to boost search engine optimization (e.g. “SEO company Toronto,” “catering company Mississauga,” etc.). 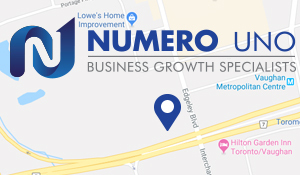 Numero Uno Web Solutions is a provider of search engine optimization solutions to start-ups and small companies from all industries and fields. We stay on the pulse of industry changes and adapt our practices to produce quality SEO and content marketing plans to fuel the growth of businesses across communities. Click here to learn more about content marketing techniques and how we can help improve your search profile.